Costume comes with slit sides for arms mobility. Can you be the dead centre of attention in this Body Bag Costume? Of Corpse you can! This novelty body bag allows full mobility but with a gruesome sense of humour, you'll be the life of the party.... while posturing as the death, that is! 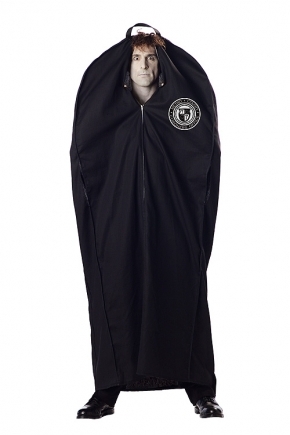 This Body Bag Costume will definitely get people talking, and would make a great prop for a Halloween trick.